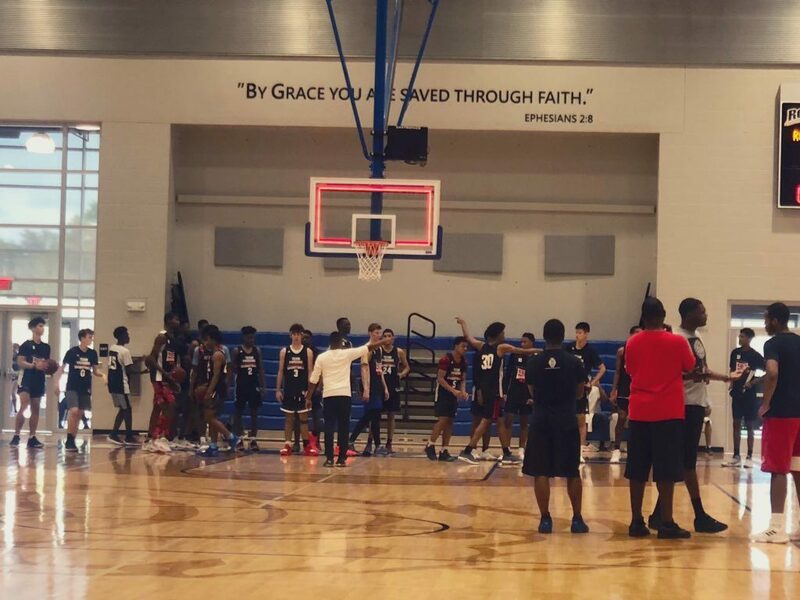 Their 2020 class is strong, quick and explosive, with the likes of 6’6” Isaiah Adams, 6’5” Kario Oquendo, 6’5” Joe Bamisile, 6’9” Yussif Basa-Ama and 6’5” Michael Eads to name a few and fundamentally sound guys such as 6’3” Eric Butler, 5’10” Jordan Sears and 6’5” Van Wilkes show signs high level skill and IQ. 6’8” Jonathan Aybar who already holds an offer from FGCU is a long, skilled stretch forward that will create mismatch problems. Coach Ricks mentioned “Isaiah Adams currently of Paxton HS has offers from USF, UMass, FAU, FGCU. Florida, FSU, Iowa St. and UCF are actively recruiting him hard. Coming off of leading a young team to state FHSAA final four, I would encourage high majors who are have a need for a player of his type to get involved in early spring.” Missing athletic SG Kario Oquendo who was not present, has offers from Wake Forest, FGCU, FAU. with UCF, USF, Iowa St, FSU, UF and University of Texas are actively recruiting him. Alex Fudge who is very eye catching, he’s a 6’5” SG with distinctive attributes. Fudge has arms that nearly touch his shins and he looks the part of a high major kid. Darius Johnson a 6’0” PG has a chance of becoming much better then his brother Xavier Johnson (George Mason commit). Johnson looks strong physically and processes a high IQ. Ramses Melendez is another 6’5” high major prospect. Melendez has length, shows athleticism, shoots well and causes disruptions in the passing lane gap for possible turnovers. Plus, I see potential in 6’2” lefty shooter Charles Crews and 6’4” linky scorer Tyrone Baker. We appreciate the invitation to Media day and we anticipate seeing more of them as they progress and further develop. Reginald D. Burke Sr. is the Owner and Operator of Bay Area Hoops LLC. BAH provides coverage for national basketball events and has been in existence since 2010.